In middle school, finding your purpose greatly revolves around finding a place to fit in. It is a time to try new electives and clubs and get to know new people. Finding that group of friends that you can count on and that accepts you for who you are is what every kid wants. Gifted and Talented kids are no exception, but sometimes they find it harder than others to fit in with their peers. Being a GT advocate who does not meet with all gifted students throughout the day, I knew I had to approach the concept of community a little differently than others. I had to purposely seek out opportunities to build relationships and create a sense of belonging within my GT students. To accomplish this, I created a “student leadership team” with the intention of planning social events. I figured that if I gave them ownership of the planning, they would be more inclined to participate in the activities. They planned a pumpkin carving party and a trip to the local skating rink in the fall. In December, they hosted a school-wide tree decorating party, which included many of our school’s clubs and organizations, and was a huge success. This spring, they planned an ice cream social, which also helps to promote a new business owned by one of our Strack families. Lastly, I wanted to work on building relationships with our feeder elementary schools. Our National Jr. 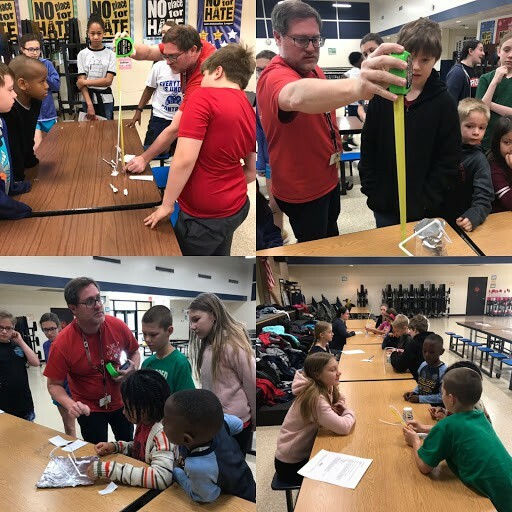 Honor Society tutors at our neighboring school Benfer and our GT students have gone over to Benfer to engage in Destination Imagination challenges with their GT students. In May, we are planning a field trip that includes our Strack “GT Leaders” and all the incoming GT fifth graders from Benfer, Haude, and Lemm. We are trying to create a mentorship program with these kids, helping new students find a safe place where they belong before they even get here. Middle school years are tough, but when you have friends who you can count on and who are interested in the same things you are, it makes these odd years a little more bearable. Strack is working hard to build relationships and help kids find their purpose within their peer groups, school, and the larger community.